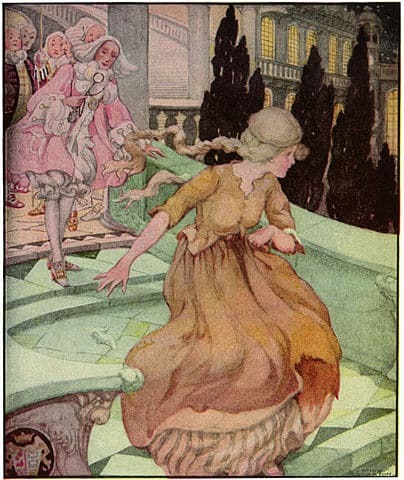 How Cinderella Disposed of Her Shoe is a parody told in rhyme, of The Brothers Grimm's fairy tale, Cinderella. It was published in Carryl's Grimm Tales Made Gay . Oh, no!—a coach and four! Visit our Children's Stories for more classic fairy tales and favorite stories. Add How Cinderella Disposed of Her Shoe to your own personal library.